This chapter on JOHN ROSSBURGH contains: —An Irishman By Birth. —His Education. —Is Settled At. “Forks of the Delaware.” — His Patriotism. — Joins A Company formed in his own Parish as a Soldier. —His painful Parting with His Wife. —Makes His Will. —Chaplain of a Regiment. —Marches Against the Enemy. —Is Taken Prisoner, and Murdered While Praying for His Enemies. —the Mutilated Corpse Stealthily Buried. —His Letters to His Wife Just Before A Skirmish. —His Character. 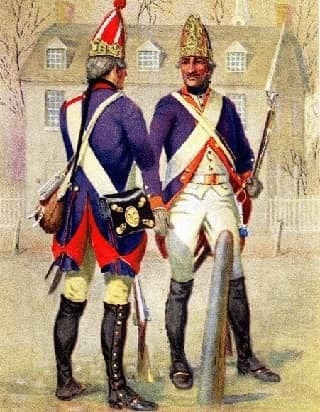 Three incredible points about JOHN ROSSBURGH are: He was aware that he may die for the sake and future of his Country. He fully committed his family faithfully into the trust of Jesus. He was forgiving at the moment of his death – praying for his murderers.